What we mean is that you might consider your budget. Your people will remember the killer awesome funny motivational speaker long after they have forgotten the slightly better chicken dish, the upgraded center pieces, and the fact that they got a brownie instead of a cookie. Seriously, I’ve been amazed at how many conventions can’t afford a top speaker but instead allocate their money towards stuff their attendees will never remember. Do you want this year’s meeting to rock? Reconsider how you allocate your budget. Second, Brad works closely with corporate sponsors and has many ideas how to both provide value for sponsors — and in turn get those sponsors to open their wallets and help you to afford the top speaker instead of second tier speaker. Want to learn more about sponsorship and how we can help you with that process? Contact us. We’d be happy to chat and share some great success stories and resources. Hi my name is Lara Cassidy and I work for Northrup Grumman. And we just had Brad Montgomery at one of our leadership events and he did a fabulous job. We are definitely going to bring him back to our next program in October. We, I was a little hesitant. I told him before he went on stage that hey Brad my job is on the line. If this is not going to work out then I’m going to be walking out the door and I’m probably going to lose my job because I’ve never seen you live in person. And he did well, he did a great job. He had my audience laughing hysterical. He customized a lot of his jokes to some of the challenges and the issues that we’re facing in our organization which was key which really got our audience to believe in him, believe in, you know laugh at his jokes. He was more of a credible speaker because of that and we just think he did a fabulous job. Thanks Brad. We’ll bring you back in a couple months. https://www.bradmontgomery.com/wp-content/uploads/2016/05/motivational-speakers-o.jpg 1365 2048 Brad Montgomery https://www.bradmontgomery.com/wp-content/uploads/2018/11/logo-1-495x198-1-300x120.png Brad Montgomery2018-08-24 00:00:452018-06-04 00:55:32"We are definitely going to bring him back to our next program"
Yippee! Just finished editing our newest preview video. If you like it, click here ( https://youtu.be/6UjkzBPFVIs ) and on the YouTube page like it and subscribe to it. https://www.bradmontgomery.com/wp-content/uploads/2016/05/motivational-speakers-o.jpg 1365 2048 Brad Montgomery https://www.bradmontgomery.com/wp-content/uploads/2018/11/logo-1-495x198-1-300x120.png Brad Montgomery2018-08-19 00:00:142018-06-04 00:53:38New Preview Video Exposed! Brad got the group energized. And I have to tell you that of all of the speakers that we’ve had over the last three or four conferences since we’ve renewed this process, Brad just blew them all out of the water. He was absolutely the best, the funniest, the most engaging, the most entertaining. And as a result the message gets across real easy. And I have to tell you, it was so impactful. And what was very special about his presentation was that he took the time to understand the issues and our culture and so he customized the approach and put the emphasis on the primary issues that were what our meeting was all about. And it was just so meaningful to have a key note speaker bring people into laughter, but also make it a meaningful quality presentation. I’ll tell you one of the best things about it was the great connection he made with our people. I mean he was able to weave his message and all of his comedy and his magic and so on into our industry into our specific corporate culture which was absolutely critical. I mean everybody got his message and made a very specific connection for it. https://www.bradmontgomery.com/wp-content/uploads/2016/05/motivational-speakers-o.jpg 1365 2048 Brad Montgomery https://www.bradmontgomery.com/wp-content/uploads/2018/11/logo-1-495x198-1-300x120.png Brad Montgomery2018-08-14 00:00:202018-06-04 00:48:58"Absolutely the funniest, the most engaging, the most entertaining." Lots of motivational speakers say that they customize their speech, but in my experience, very few actually do. Instead, what they do is tailor a speech. So what’s the difference between tailoring a keynote speech and customizing a motivational speech? Well, for me, the difference is huge. Tailoring means often the speakers will drop in a catch phrase, or a brand name, or a company name, or an association name into some sort of pre-prepared story or sentence and then repeat that technique three times in a one-hour keynote and then claim that that program has been customized. Well, pish! Customization is genuine changing of the program to meet the client’s needs. Audiences need to know that their speaker understands them, gets them, and is fully connected with their needs, their pains, their desires, their joys and their jobs. So, tailoring just isn’t sufficient for today’s audience. Because I’m a comedian motivational speaker, tailoring for me means more than just making sure the message is relevant and on track. For me, customizing is more than having a five quick minute conversation with a client to find out what their concerns are. For me, customization is much more than helping a specific organization get from point A to point B in concert with the top decision-maker’s desires. For me, what customization means is to make the program all of those things and in addition, make it really funny by putting in specific, relevant jokes just for that group, those people and that event. So, before my programs I always interview the top decision-makers for the organization and besides looking for all of their desires for change and for what their people need to hear, what I do in addition is look for places where I can write specific jokes and comedy bits for that group. So it’s not uncommon for me to create full sections of my program specifically for that event and that organization. 1. 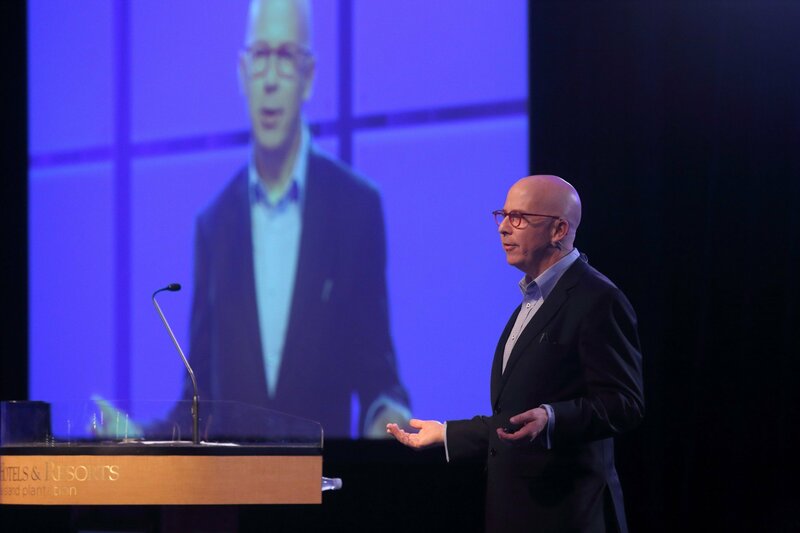 Don’t hire a speaker simply to fill up a space in your meeting or convention. Hire a speaker to help you accomplish a specific goal; to create a specific behavior change; to deliver a specific message. Not sure how best to use Brad? No sweat…just ask us and we’ll give you some ideas how to not just hire a motivational speaker, but to accomplish a goal. We’ll help you make your meeting a mad success. 2. Make sure your speaker is able to customize his program to your people, your group, your needs and your goals. You need somebody relevant to your audience. And without some customization that’s pretty much impossible. We talked about this before: you need to check the testimonials and references. But in addition, we’re convinced that you need to chat with your potential motivational speaker. On the phone. No secretaries. No speakers bureaus. You need to talk direct. Does he seem pleasant? Does he seem to understand your needs? Is he willing to shape his program around your needs, desired outcomes and goals? Does he feel more like a partner or more like a contractor? 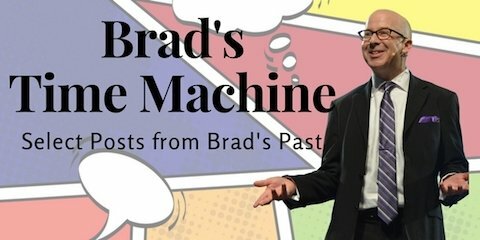 https://www.bradmontgomery.com/wp-content/uploads/2016/05/motivational-speakers-o.jpg 1365 2048 Brad Montgomery https://www.bradmontgomery.com/wp-content/uploads/2018/11/logo-1-495x198-1-300x120.png Brad Montgomery2018-08-04 00:00:132018-06-04 00:45:36What's the Biggest Mistake In Choosing a Speaker?